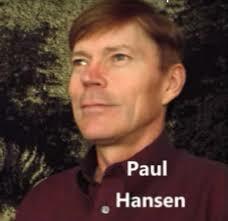 Paul John Hansen, 488 Pearl LN, Repton, AL 36475-1108, a post location without the United States, not a resident address. You state that you are “technically a lawyer;” what does that mean, exactly? Did you attend law school? Did you complete a legal apprenticeship? Have you completed any legal studies? I am simply curious. I am completing a PhD in International Law and Comparative Courts and I find your point of view and legal position facinating. No state affiliation, just common law which is not common anymore in the America. US citizenship is an election of franchise (contract) with the/a business called US. Americans have birth right status, and if you can convince a jury of twelve men of otherwise then you have a case. Just get one operating in your community, that is the only jurisdiction “you” have. The US constitution says that the document is “for” the Union, so therefore the Union was created “by” the Articles in 1777, if for then one can assume it did not replace. Find government property and you will always see it is owned under the styled name just as in the Articles, and not as any language in the US Constitution. I pay taxes on every purchase I make, some claim that as much as 40% of a cost of a good is due to government cost. There are others: Yick Wo v Hopkins, 118 US 356, at pg 370, Luther v. Borden, 48 US 1, 12 Led 581., People v Herkimer, 4 Cowen (NY) 345, 348 (1825), Ohio L. Ins. & T. Co. v. Debolt, 16 How. 416, 14 L.Ed. 997. Generally each case is a little different so we need to talk a minimum of 15 minutes. 10$. Do you know of any notaries in California (San Francisco Bay Area), who will do a Notary Presentment? >>> Hansen Response – I can do a notary presentment the same as any CA Notary. All I need is a copy emailed to me.